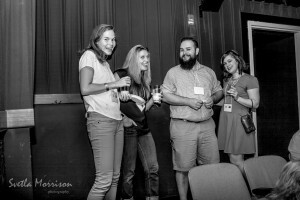 On August 31st, 2015, members of AkronWiT along with the greater Akron community gathered at The Nightlight Cinema in downtown Akron to celebrate AkronWiT’s first year as a tech group and their new nonprofit status. They also announced their seed grant from the Knight Foundation, along with ideas for programs they plan create with the grant. 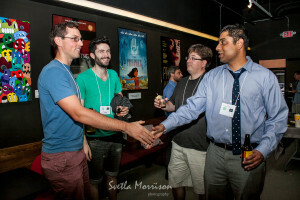 Hor d’oeuvres were provided, and The Nightlight opened their bar — and their popcorn machine! — to the attendees. 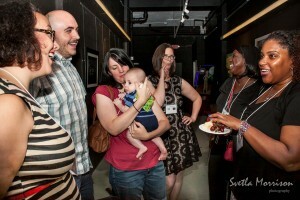 Svetla Morrison Photography took pictures of the evening. 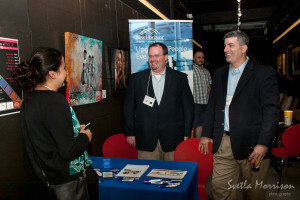 The event was a resounding success, and many in attendance said they cannot wait for the next one. With the continued support of the Akron community, next year’s event will have even more exciting news to announce. 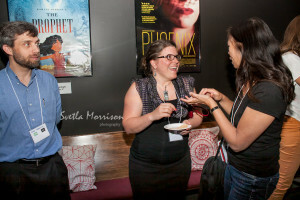 Attendees enjoyed food and conversation. Members of AkronWiT, the AkronWiT Board of Directors, and people in the greater Akron community shared conversation. 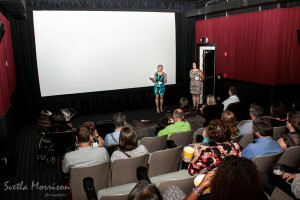 Board members Rachel Krantz and Stephanie Baker presented the evening’s program. 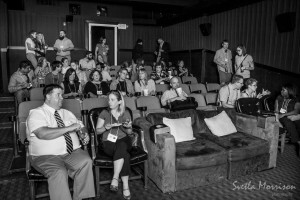 Everyone gathered in the theater for the evening’s announcements. 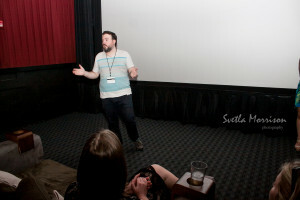 Kurtiss Hare, Executive Director of the Nightlight Cinema, presents during the evening’s announcements. 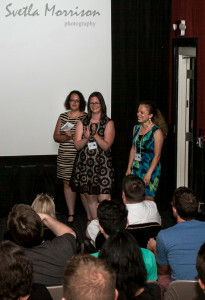 Board Members (left-to-right) Stephanie Baker, Shannon Whalen, and Rachel Krantz wrap up the evening’s announcements. 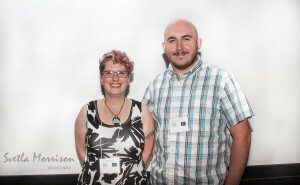 AkronWiT’s original co-founders, Monette Richards and Kevin Wirth. 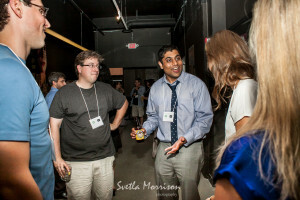 The current Board of Directors with the original co-founders of AkronWiT. 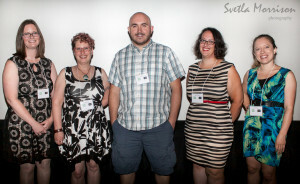 From left to right: Shannon Whalen, Monette Richards, Kevin Wirth, Stephanie Baker, Rachel Krantz. 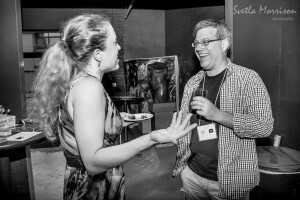 Rachel Krantz, an AkronWiT board member, talks with Mike Meffie, a volunteer speaker for one of AkronWiT’s monthly tech talks. 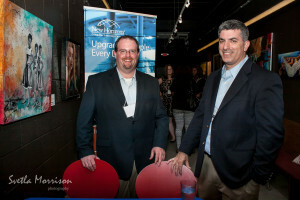 New Horizons helped sponsor the evening and attended to meet AkronWiT’s members. Community supporters and AkronWiT members pose with Nick Petroski, owner of OSC Tech Lab, which hosts many of AkronWiT’s monthly events. 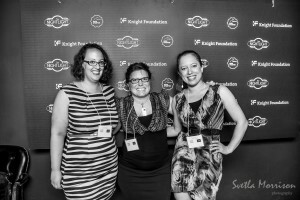 Board members Stephanie Baker [left] and Rachel Krantz [right] pose with donor Tasha Markovich. 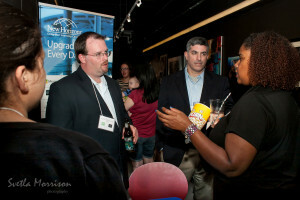 A member of AkronWiT stops by the New Horizons table. 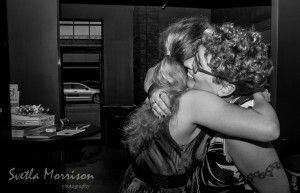 Rachel Krantz, Board member, and Monette Richards, AkronWiT co-founder, share a hug at the end of the evening. 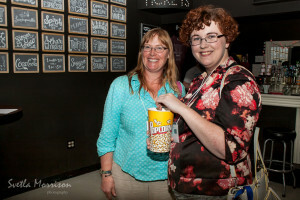 The Nightlight Cinema, our host sponsor. 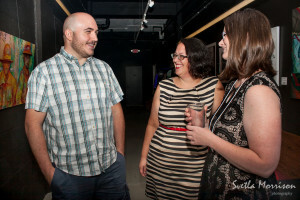 You can support them by becoming a Nightlight member here, or reach out to have them host your own event. 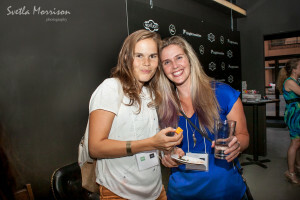 Svetla Morrison Photography, our photography sponsor. You can contact her here to capture your own special event or memories. You can also check out her Facebook and Instagram, where she shares many of her pictures.